From the perspective of supply chain management a multinational may shape its “network of relationships” differently in each country in which it operates. This paper aims to analyze the supply chain relationships of a Brazilian multinational in different national contexts. We analyzed the presence and alignment of key aspects of the relationship based on the perception of those involved in the supply chains we analyzed. The method included personal interviews and lexical analysis carried out using data analysis software. The results suggest that the external environment and the strategies adopted have an effect on the types of relationship found in the supply chains analyzed. The company has different business strategies in each of its units. Business strategies that seek greater differentiation or value creation, like those of the Argentinian unit, lead to higher levels of cooperation and collaboration. 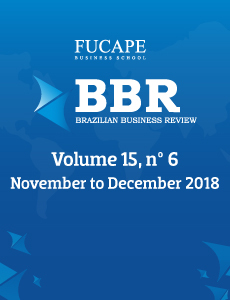 At the other extreme, a greater focus on costs in the Brazilian unit results in low levels of trust, which is reflected in incipient cooperation and collaboration.